If you move the car door, you see how the robot follows it’s movement. What you are seeing here is called inverse kinematics of a mechanism. 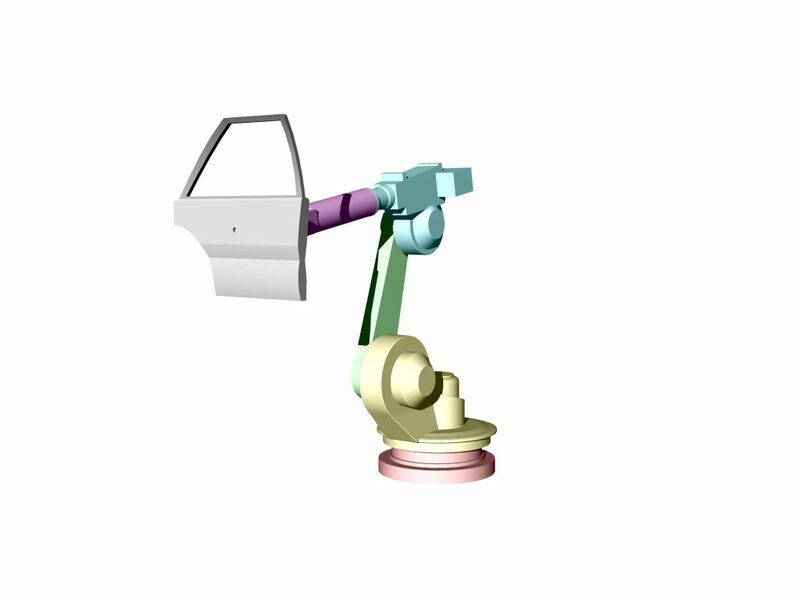 This is a typical inverse problem: we know the result – how our door should be moved, but we don’t know how to obtain this result – how the robot should move its platform, shoulder, arm, hand and head to reach the desired position for the door. BricsCAD is able to solve this inverse kinematic problem in real time. Our robot has five degrees of freedom and all of them are used to find the position for the door. The constraints force other components to rotate correspondingly.